Sitting here, relaxing and surfing the internet for the latest football Transfer News, I noticed a common ‘anomaly’ amongst Nigerian footballers. 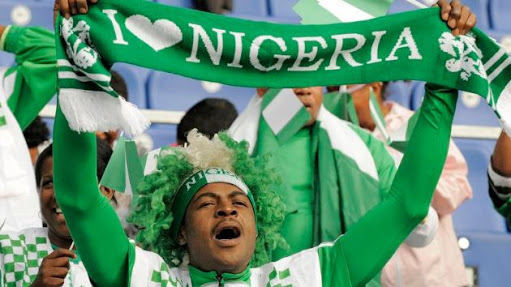 All the Nigeria International footballers that have been linked with a move away from their respective clubs, attracted interests from relatively small clubs in top European leagues or clubs in Turkey and other obscure countries. With all due respect to these clubs, every fan wants to see his countrymen sign for top European sides and I am no different. It signifies the quality of footballers the country churns out year after year. A lot of fans have forgotten what it feels like to see a good number of Nigerian footballers show off their skills at the biggest stage, the UEFA Champions League (UCL). 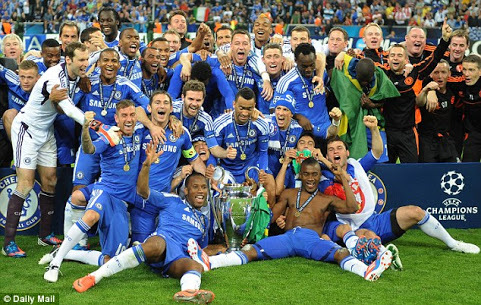 Former Chelsea manager Roberto di Matteo made every African football fan proud when he listed four Africans in his squad for the 2012 UCL final against Bayern Munich, which they won on penalties. 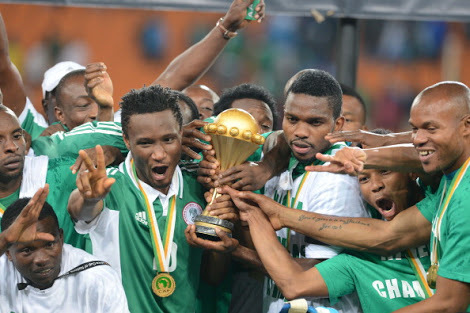 These Africans include: John Mikel Obi (Nigeria), Michael Essien (Ghana), Salomon Kalou & Didier Drogba (both Ivory Coast). Hence, Mikel became only the third Nigerian to win the UCL after Kanu Nwankwo and Finidi George (with Ajax in 1995). David Olatokunbo Alaba, Nigerian-born Austria International, would have become the fourth Nigeria International to win the UCL when he won the title at Wembley with Bayern Munich in 2013 against fierce rivals Borussia Dortmund if Nigerian Football Federation (NFF) had approached him on time to switch his allegiance from Austria. Just like Alaba, there used to be a time when Nigerian footballers attracted or commanded a starting berth at top European clubs. 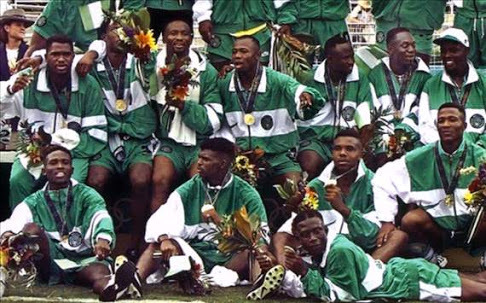 These footballers were termed the “Golden Generation of Nigerian Football”. 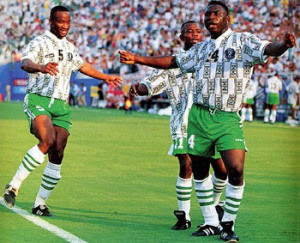 The Kanus, Georges, Babayaros, Wests, Ikpebas, Amunekes, Okochas, Okechukwus, Olisehs made headlines across the globe and caused a bidding war amongst top European sides after their heroics at 1994 CAF African Cup of Nations in Tunisia, 1994 FIFA World Cup in United States and 1996 Olympic Games in Atlanta. Kanu Nwankwo and Finidi George moved to Ajax Amsterdam in 1993 and went on to win the UCL in 1995 under the tutelage of Louis van Gaal. 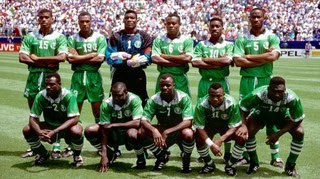 They also returned to the same stage a year later but were unlucky to succumb to Italian giants Juventus on penalties. Kanu moved on to Inter Milan and Arsenal amassing a number of trophies to become the most decorated Nigerian footballer ever whilst George moved to Spanish club Real Betis in 1996 after his proposed move to European heavyweights Real Madrid collapsed. Celestine Babayaro joined Belgian club Anderlecht in 1994 and became the youngest player to play and receive a red card in a UCL game aged just 16years 86 days. He spent three years in Belgium before joining Chelsea, where he won the UEFA Cup Winners Cup and UEFA Cup in over 200 appearances for the London club. 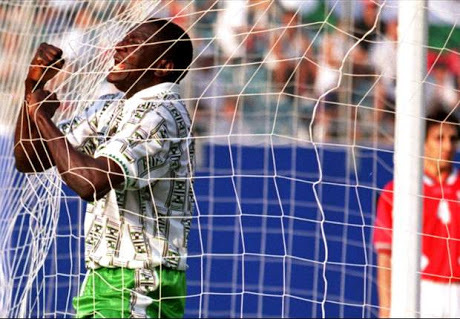 Emmanuel Amuneke, the 1994 CAF African Footballer of the Year, represented Portuguese club, Sporting Lisbon between 1994 and 1996 under late Sir Bobby Robson. 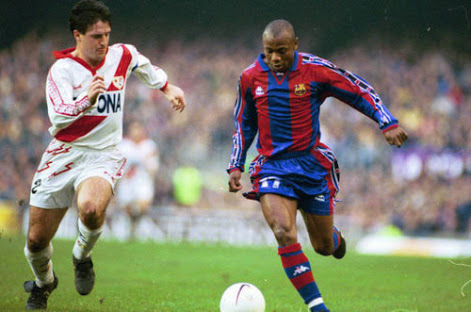 In 1996, Robson left Sporting for FC Barcelona and took Amuneke with him, however, his time at Nou Camp was cut short by a knee injury. 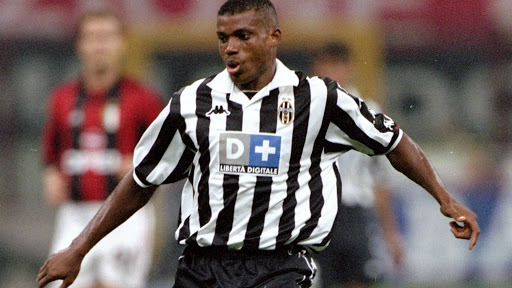 Sunday Oliseh, who is fondly remembered for his thunderbolt winner against Spain at the 1998 FIFA World Cup, played for Ajax Amsterdam, Juventus and Borussia Dortmund. Victor Ikpeba, the 1998 CAF African Footballer of the Year, played for AS Monaco and Borussia Dortmund in France and Germany respectively with distinction. 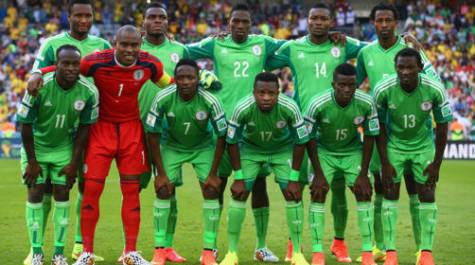 Now fast forward to the current crop of players avaliable to the Super Eagles coach for selection and only Victor Moses, Peter Osaze Odemwingie, Ogenyi Onazi, Vincent Enyeama, Kenneth Omeruo, Elderson Echejile, Joel Obi, Ahmed Musa and John Mikel Obi stand out. Mikel caused a tug of war between Manchester United and Chelsea in 2005 before eventually settling for Chelsea. He has gone on to play in UCL and FA Cup finals as well as make the bench for the UEFA Europa League and Capital One Cup finals. 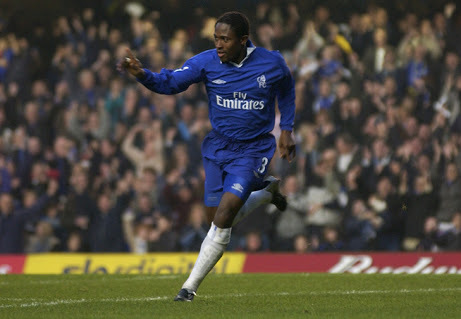 He is hot on the heels of Kanu Nwankwo and may usurp the latter to become the most decorated Nigerian footballer ever. Others, including Taye Taiwo, who shone at 2005 FIFA World Youth Championships with Mikel, have failed to live up to expectations. To be fair to Taiwo, he started his career on a high and went on to play for Olympique Marseille and AC Milan but lost his form and confidence in 2011 aged just 26 and hasn’t recovered ever since. There are three main reasons why I think Nigerian footballers aren’t the lure of leading European clubs anymore. The first is age; a number of Europeans still believe Africans and South Americans lie about their ages hence most prefer to take their chance on young players that can offer their clubs a good number of years in return for the astronomical figures they command. The second is lack of ambition; Africans, rather Black men in general, are often known to become complacent once they achieve their dream. Most Nigerian footballers could care less about winning laurels and trophies. They are in the football business, just for the money considering their family backgrounds. Football has taken many from bottom to the top of the food chain. However, they fail to understand that a player that aims for titles and shattering records will make more money. The third is lack of quality; the naked truth is that if these players were quality, most managers would take a chance on them irrespective of their limitations. A lot of managers questioned ages of Kanu and Taribo West but it didn’t deter them from signing both players. To solve this conundrum, the NFF, Nigerian Premier League clubs and national team coaches have to invest heavily in scouting networks to discover quality players who are hungry for success on all fronts. You mentioned a whole lot of Nigerians supposedly in ‘top’ foreign clubs but, the truth is that most of them do more of warming the bench. For example, Omeruo is still a player under Chelsea Football Club but, has now been on loan for 2 straight seasons & if the information filtering around is anything to go by, he will still be sent off on loan for the forth-coming season; Mikel spends more time on the bench than playing, Echejile is not the first choice LB for FC Monaco. The same goes for Onazi. Our first choice striker Emmanuel Emenike struggled to make the first team in Fenerbache & even when he did, he rarely scored. So, in the real sense of it, most of our ‘foreign’ players are just living abroad not necessarily playing regular football. Throwing more light on what differentiate the crops of players from the hero’s of the past in Nigerian football is their Goal. Some of these players just want to player for a foreign club and when that is achieved even been a benched warmer is ok.
Nice write-up. May God Almighty continue to make Africans more n more focused IJN. Amen. Arinze u rily a wonderful writer. I await d day ul win a nobel prize.cheerz. All we can do now is remember the days of glory and appreciate more the achievements of all those who gave our football respect. I chose the word GAVE because we had no clear cut football philosophy/policy and still don’t. Herein lies the quagmire Oliseh faces because he who didn’t play under a structure will now have to formulate one. In doing so,there will be scars,failures our people will have to endure. A policy that will strictly streamline the kind of players invited to the Eagles,which I dare say leaves him with very little material to work with. Regular first team football in a respected league is a must. Question is,who and where are they? Do we jettison that and focus more on desire,ambition,drive as a standard,regardless of where you play? Or do we upgrade the age graders and believe the good old days will be resuscitated? Ask me,and I wholeheartedly will embrace the last option with a few injections from the old brigade. But what do I know,I’m just a football presenter. Sunday Oliseh is he who has the headache,I just comment. Thank you Boss for your feedback. Truly it is onus of Oliseh and the NFF to come up with such structure/philosophy. I still believe we need to blend young hungry/ambitious youngsters with the experienced ones to achieve success. Next PostNext Oliseh: The Right Man for Super Eagles?